Research shows that while satire does carry some risks, it can be an effective tool for communication. Scientists are giving it a go. Against this backdrop, Chapron decided to turn to France’s robust literary tradition of using wit, irony, and exaggeration to expose human failings. “We wanted to show that, basically, people are not ready to adjust their way of life to save the planet,” he says. Chapron doubts most other scientists would treat their topics in this way. But maybe more of them should. Over a decade’s worth of research shows that while satire does carry some risks, it can be an effective tool for communication. 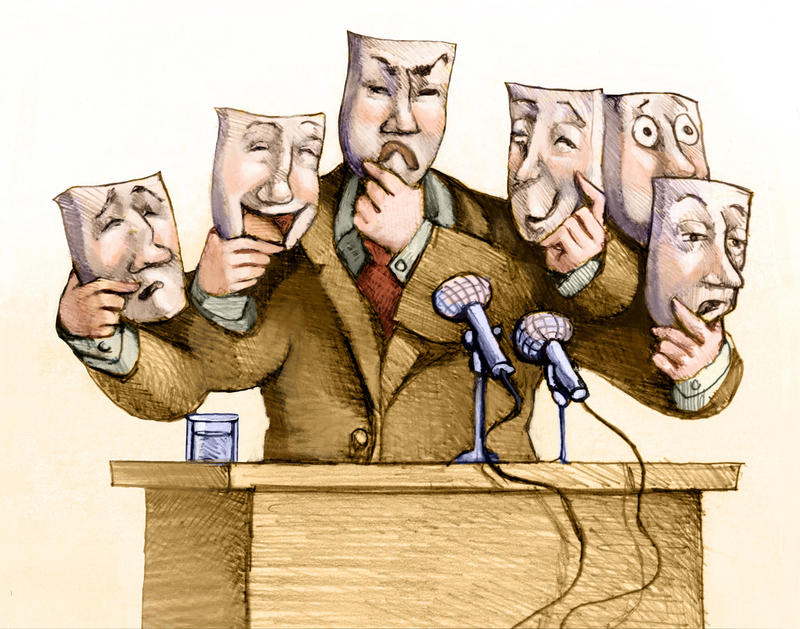 Satire can capture people’s attention and make complex topics accessible to a wider audience. In some circumstances, it can even sway beliefs. If scientists want to communicate with the public about a serious subject, they might try a joke. To understand how satire can influence an audience, several researchers have looked at climate change. One of them is Paul Brewer, a communications researcher at the University of Delaware, who got his first faculty job around the time Jon Stewart took over hosting “The Daily Show” in 1999. Brewer at first used the show as a teaching tool. Then, because a lot of his students watched it, he realized it might make a good research subject. Since then, Brewer’s studies of satirical TV news have shown that these programs can affect people’s beliefs. In a 2015 study, Brewer and graduate student Jessica McKnight showed university students a video clip from “The Daily Show” or “The Colbert Report” about climate change, or a control video on another topic. Stewart used jokes and sarcasm to address the subject, while Stephen Colbert spoke ironically, in his usual character of an over-the-top conservative pundit. After seeing either satirical news clip, subjects reported a greater certainty that global warming is happening. In more recent research that hasn’t been published yet, Brewer has been looking at satirical coverage of other scientific issues including vaccines, evolution, and GMOs. Based on preliminary results, he thinks satire may be especially effective for communicating messages about vaccines. Although the late-night TV hosts have gotten a lot of research attention, Amy Becker of Loyola University Maryland in Baltimore veered away from satirical news in a study published this summer about “sarcastic content.” She and her co-author Ashley Anderson, of Colorado State University, showed university students a video from The Onion, another video by The Weather Channel, or a control video. Both non-control videos were humorous takes on climate change. But the Onion video had a clear point of view, illustrated by its wry title: “Climate Change Researcher Describes Challenge of Pulling Off Worldwide Global Warming Conspiracy.” In contrast, the Weather Channel video poked fun at people who both do and don’t believe in climate change. The team found that only the Onion video had an effect. It increased people’s certainty that climate change was happening while also increasing their perception of the magnitude of the problem. As with previous studies, the video only made a difference among people who didn’t already think climate change was an important issue. “It seems that one-sided sarcasm can activate less-interested individuals to engage with the climate change issue,” the authors wrote. Lauren Feldman, a communication researcher at Rutgers University who studies the media, has some ideas about why satire is effective for delivering messages. For a start, she says, humor gets eyeballs. “One of the chief benefits of satire, and comedy more broadly, is to promote attention in our very crowded, noisy media environment,” she says. In a 2011 collection of essays on satirical news, Feldman and colleagues published research that found that people who watched more satirical news were more likely to follow news about science and technology, the environment, and global warming. The effect was strongest for people with the lowest levels of formal education. “Comedy and satire help pull people in and help make those topics more accessible,” she says. So far, research on the subject has mostly assumed that comedians share the values of scientists, Feldman adds. But humor could also manipulate audiences in the opposite direction. “Comedy could just as easily be used to engage people with perspectives that misrepresent or undermine science,” she says. Another risk: people might not get the joke. A 2009 study found that conservatives were more likely than liberals to think Stephen Colbert’s television persona was genuine. Paul Brewer’s study found the same thing — although, Brewer notes, it didn’t make Colbert’s message any less persuasive than Jon Stewart’s to the overall study group. Even when people do get the joke, satire can be very polarizing, Feldman says. “It attracts an audience who is already pretty liberal in orientation, and it in many ways preaches to the choir.” This can help mobilize like-minded audiences, but “it can also be really alienating to the other side.” It’s also possible that joking about a subject could make it seem less serious, Feldman says. Not many scientists are using satire to deliver messages. There was a 2011 Biotropica paper recommending that Greece and Spain be reforested and populated with large animals. “Both countries face economic challenges that could be reduced by the revenues from ecotourism,” the authors wrote. “Lions could be reintroduced to Greece … and gorillas might thrive in Spain.” The authors wanted to show how conservation efforts often ignore the perspective of people who live in an area. Another paper called “Chicken Chicken Chicken: Chicken Chicken” parodied unintelligible scientific writing. Guillaume Chapron, the author of the satirical warning to Earth, agrees. “The environmental crisis has reached such a scale that it is no longer justifiable to dispense with some communication tools,” he and his coauthors wrote in a follow-up paper. He admits the reaction to his satirical paper wasn’t earth-shattering. William Ripple and the other authors of the “World Scientists’ Warning to Humanity” letter called Chapron’s paper “humorous, refreshing, and potentially effective.” Chapron has heard about some readers who are still talking about the paper in their labs, he says. He’s heard of others who thought his paper shouldn’t have been published in the first place, or that it damages the credibility of academia. UPDATE: An earlier version of this story imprecisely described the authorship of a paper published this summer in the journal Science Communication. The paper was co-authored by Amy Becker of Loyola University Maryland, and Ashley Anderson of Colorado State University, not by Becker alone as was implied. Malcolm Gladwell, in episode 10, The Satire Paradox, of the first season of his podcast Revisionist History, exposes some of the perils of using satire to effect social change.